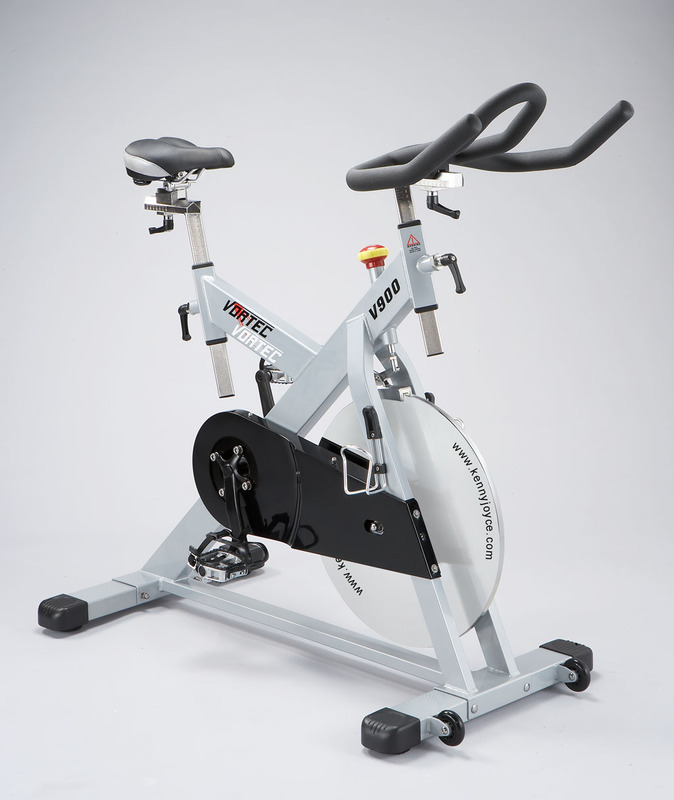 Exercise Bike / Indoor Cycle, V900S - Kenny-Joyce Co., Ltd.
A durable belt direct drive system on fixed wheel, ultra strong BB and flywheel axles, steel heat treated forged crank, high performance slide system on seat and handlebar stem positions adjustment and V-lock easy lock system help you easy find your best riding, a patent design knob tension control system provide you very easy to control your cycling frictions and stop braking. 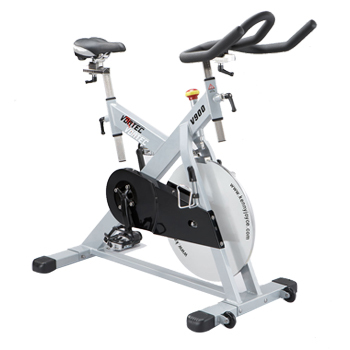 25kgs machine cut fly wheel keep a certain momentum during your cycling. Square stainless steel construction on handlebar stem/seat post offers maximum stability and durability. Adjustable seat height with extender. High performance seat position adjustment devices with digital scale. Specially designed brake/tension system. Patented unique brake /tension control system. Specially designed V-lock system makes easy adjustment and more secure. Fixed wheel, BELT direct drive system 25kgs (55.5lbs).